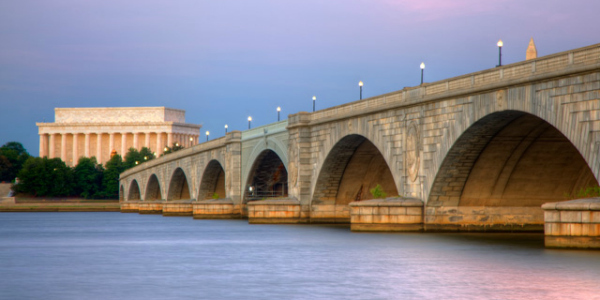 With its main campus located in DC's historic Foggy Bottom neighborhood, just minutes from the River Inn, George Washington University is a private university that delivers an unprecedented educational experience. Because of its prominent location, it is no wonder that its notoriety in government and international studies has taken the spotlight. GWU is also highly regarded for its School of Business, School of Engineering and Applied Science, and the School of Nursing. The vibrant campus offers a creative and academic energy, and an exciting art and cultural scene. What historic sites can I see? Since 1912, GWU’s campus has been a part of the Foggy Bottom neighborhood, only 4 blocks from the White House. Tour of this prominent university and the famous Foggy Bottom campus and discover historic buildings like the F Street House, beautiful architecture, symbolic statues, and the scenic rose garden. What is the art and culture life like? George Washington University is alive with art and culture in its theaters and art galleries. The Department of Theatre & Dance features six main-stage theater and dance productions every year, and the campus is buzzing with live music performances. GW’s Lisner Auditorium is the second largest performance venue in DC, with big-name concerts, performers, speakers and festivals. Many local professional ensembles and student groups create outlets for artistic expression around campus.